Logan Trailer: Wolverine movie official theatrical trailer for ‘Logan’ has been released today, October 20. It features Hugh Jackman as Logan who has become an old and beaten down mutant. It is the third ‘Wolverine’ spin-off film from the 20th Century Fox’s X-Men franchise. It’s probably the last time when Jackman will be seen as the mutant with adamantium claws and an adept healing factor. The first Logan theatrical trailer for the flick provides the feel of the atmosphere of the story. Apparently, our main character looks moody and dusty, and it has an aging Professor Charles Xavier as the last of the X-Men. 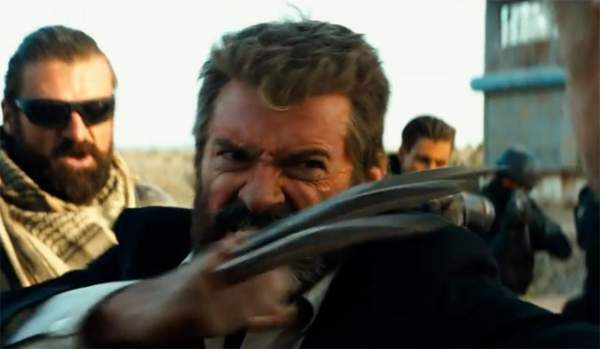 In the latest promo clip released, Logan says, “Charles, the world isn’t the same as it was. Mutants – they’re gone.” He says it in a voiceover paired with one of his image in a cemetery. After a while, Charles introduced him to a mysterious girl named Laura Kinney who is maybe the clone of Wolverine. He must protect her from people who want to kill her. The story of the upcoming movie Logan is based on the 2008 Old Man Logan comic book mini-series. He is featured as an old man who loves solitude. Consumed by guilt, he feels himself responsible for the death of the X-Men and the deaths of everyone else whom he loved. He has got the ability to heal any cut, bruise, broken bone, and a bullet hole on his own body, but he can’t heal the mental trauma which has suffered for a long time now. However, the movie isn’t the direct translation of the comic book series. The latest Logan movie trailer shows that he is planning to take revenge like Western in the vein of True Grit or Terminator 2, but much more dirty than them. It also gives a hint regarding the zombie survival video game The Last of Us. Hugh Jackman as the Wolverine will start the last mission. It will be an epic farewell for the character and a goodbye to the actor who introduced the role. The next Logan trailer will arrive soon. Logan release date has been finalized and will hit the theaters on March 3, 2017.